This entry was posted in Blog News News: Politics and tagged blog news News: Politics on June 8, 2014 by Tom Grundy. Kevin Lau Chun-to, the ex-Ming Pao editor, who was almost killed in a meat cleaver attack earlier this year has made a video message for attendees of this weekend’s AAJA 2014 Media Conference at HKU. in the message, Lau thanked supporters for their concern and said he was now able to walk for 15-minutes. He said his recovery may take up to two years and that he hoped the police would use ‘every possible means’ to investigate the incident in February. Lau was attacked by two men on a motorcycle, suffering stab wounds to his back and legs. The triad-style attack has been linked to the city’s spiralling press freedom. This entry was posted in Blog Humour and tagged blog humour on June 8, 2014 by Tom Grundy. 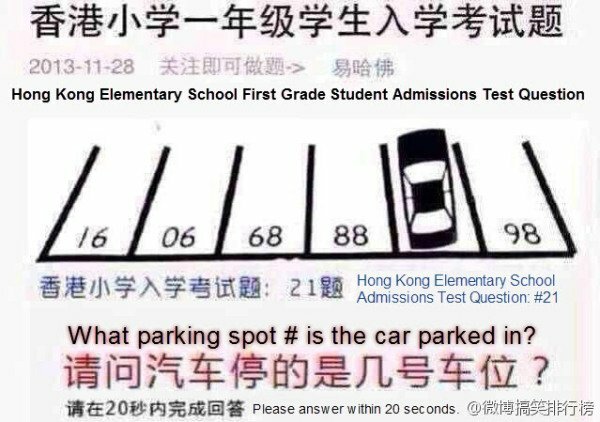 One of the most popular posts on mainland microblogging site, Sina Weibo, this week is a maths question taken from an admissions test for a Hong Kong primary school. Frustrated? 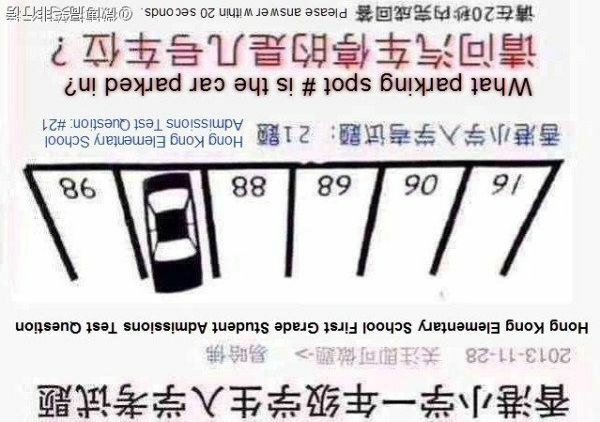 Click here for the solution.